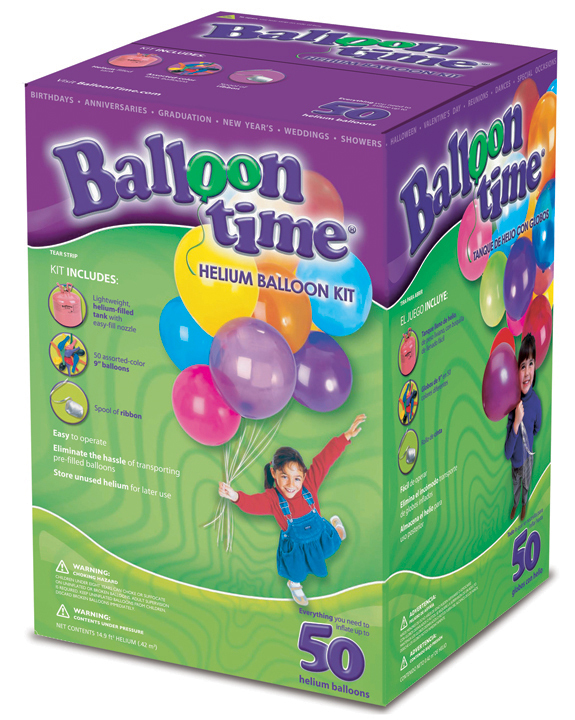 Balloon Time® Create-A-Party Standard and Jumbo Helium Cylinders give you the convenience of portable, disposable helium tanks and enough helium for approximately 30 or 50 x 9" latex balloons. Balloon Time® gives you a convenient alternative to transporting pre-inflated balloons from the party store to your party location or renting a large, bulky helium cylinder that needs to be returned. Balloon Time’s lightweight, disposable helium-filled cylinder is easy to use and is fully recyclable.